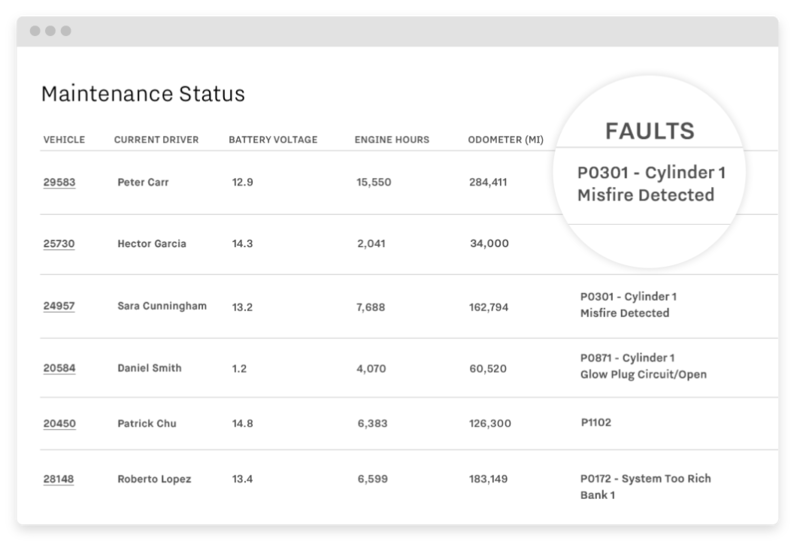 Collect data directly from each vehicle’s on-board diagnostics port to proactively spot issues such as failing batteries and engine faults. 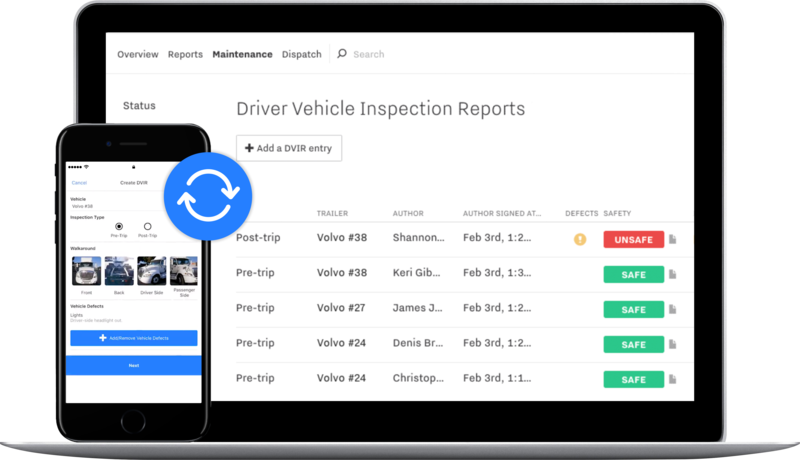 Quickly identify vehicles in need of service to protect vehicle health. Maximize uptime and minimize costs with real-time vehicle diagnostics, usage-based preventative maintenance schedules, paperless DVIRs, and more. 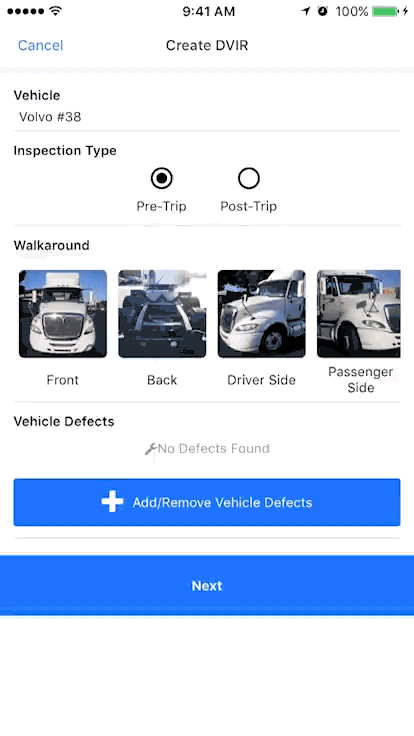 Perform pre- and post-trip vehicle inspections on any mobile device with the Samsara Driver App. Streamline vehicle walkarounds with automatic photo uploads and one-click digital signatures. Auto-prompts for DVIR certification reduce errors associated with keeping paper records and facilitate closed-loop communication between drivers and mechanics. 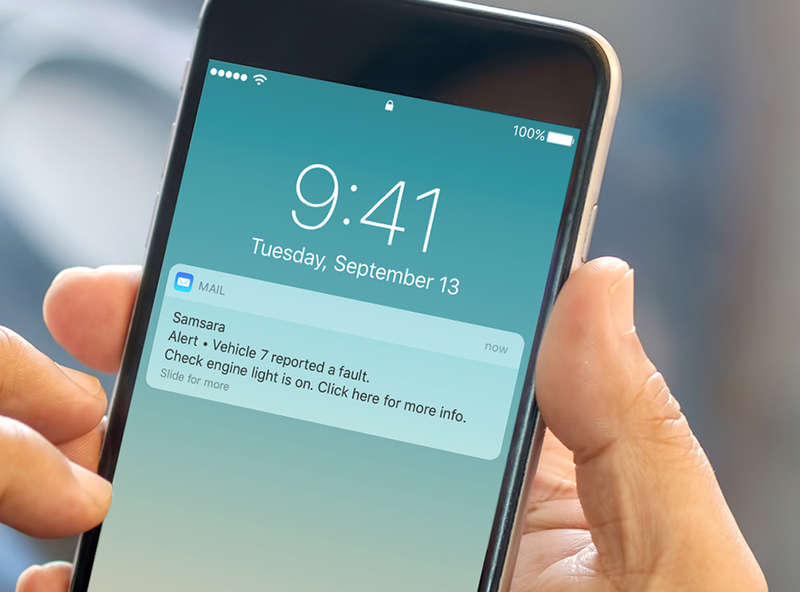 Customizable alerts ensure that mechanics are informed the second vehicle faults are detected. 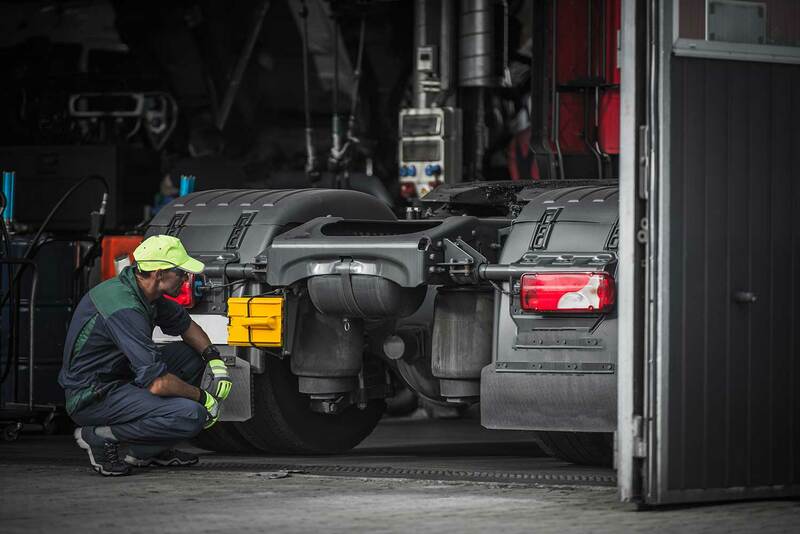 Live GPS enables quick dispatch to limit vehicle downtime.